The PCE-G28 Gauss Meter for magnetic fields comes with a triaxle sensor to determine electro-magnetic radiation. 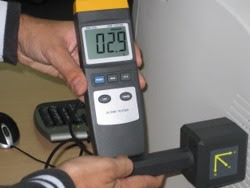 The Gauss Meter has been specially designed to measure transformers and for evaluating magnetic fields generated by computer monitors, industrial electrical installations and electro-motors. 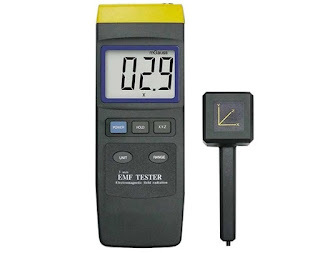 The Gauss Meter PCE-G28 EMF meets such European standards as: the European Union Electromagnetic Compatibility Directive IEC 801-1 ( EN 50081-1) , such as for laboratory prescriptions and measuring instruments IEC 204 ( EN 60204) . By way of a triaxle sensor, it can save conversions for each axis. This small Gauss Meter for electrical fields has some characteristics which are useful in an industrial setting. It is easy to use and very accurate. Las precisiones dadas se refieren a: 50 - 60 Hz y < 3 V/ m ( RF) .